"Launching the Next-Generation IVS Network"
The International VLBI Service for Astrometry and Geodesy holds a technical meeting, called the General Meeting, every two years. The purpose of the meeting is to assemble representatives from all IVS components to share information, hear reports, and plan future activities. The meeting also provides a forum for interaction with other members of the VLBI and Earth science communities. 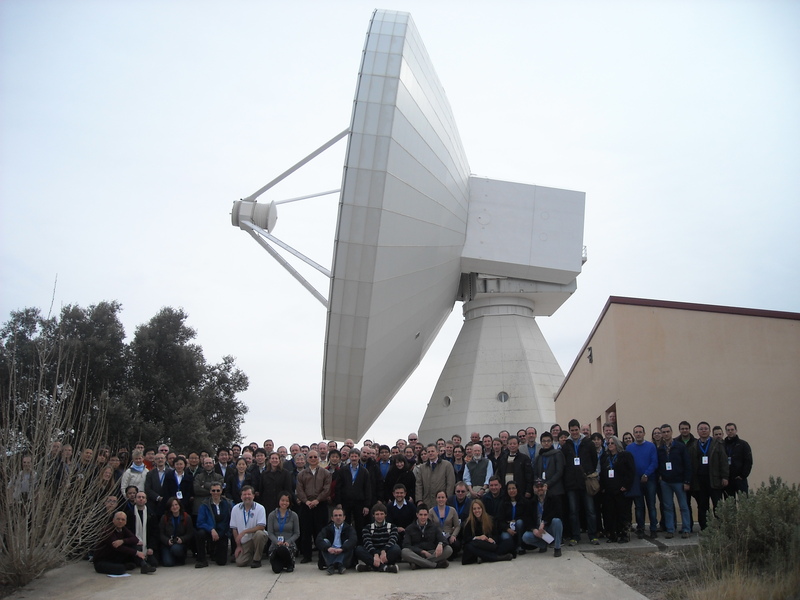 The 7th IVS General Meeting "Launching the Next-Generation IVS Network" will take place on March 4-9 2012, at the premises of the Royal Observatory of Madrid, Spain. Click here to download the GM2012 poster. The official logo is here. The book of abstracts is here. You may now access copies of the slides of all oral contributions, and posters, which are available online here. Proceedings will follow later. Are you fond of social networks? Find us in facebook . This conference is sponsored by the National Geographical Institute of Spain (IGN) and the International VLBI Service for Geodesy and Astrometry (IVS).